In this episode, Audrow Nash speaks with Roland Siegwart and Matthias Hüni about Kickstart Accelerator, a Swiss Startup Accelerator. Siegwart leads the Autonomous Systems Lab at ETH Zürich and is one of the initiators of Kickstart Accelerator. Hüni is the vertical lead of Robotics and Intelligent Systems at Kickstart Accelerator and is involved in the program’s operations. 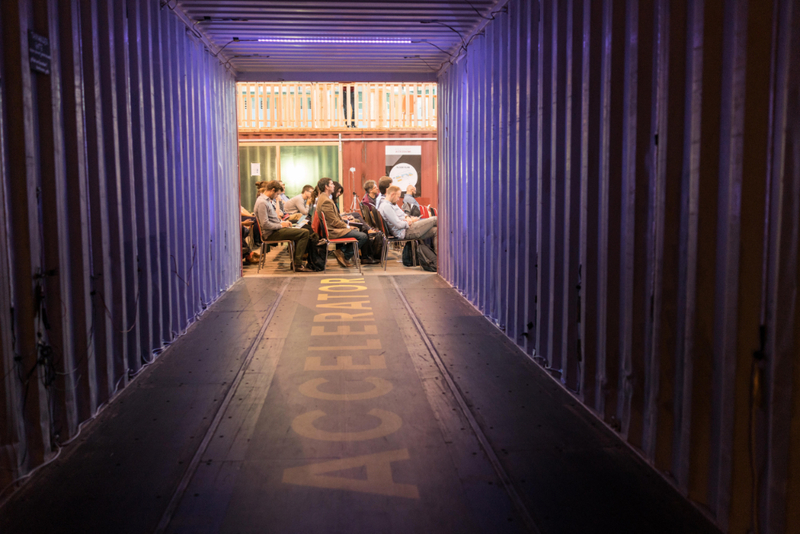 Kickstart Accelerator seeks to provide international entrepreneurs with an inlet to the Swiss ecosystem, including connections to industry and academia. Roland Siegwart is a Professor of Autonomous Systems at ETH Zurich since July 2006 and Founding Co-Director of the Wyss Zurich. From January 2010 to December 2014 he took office as Vice President Research and Corporate Relations in the Executive Board. Roland Siegwart’s research interests are in the design and control of systems operating in complex and highly dynamical environments. His major goal is to find new ways to deal with uncertainties and enable the design of highly interactive and adaptive systems. Prominent application examples are personal and service robots, autonomous micro-aircrafts, walking and swimming robots and driver assistant systems. 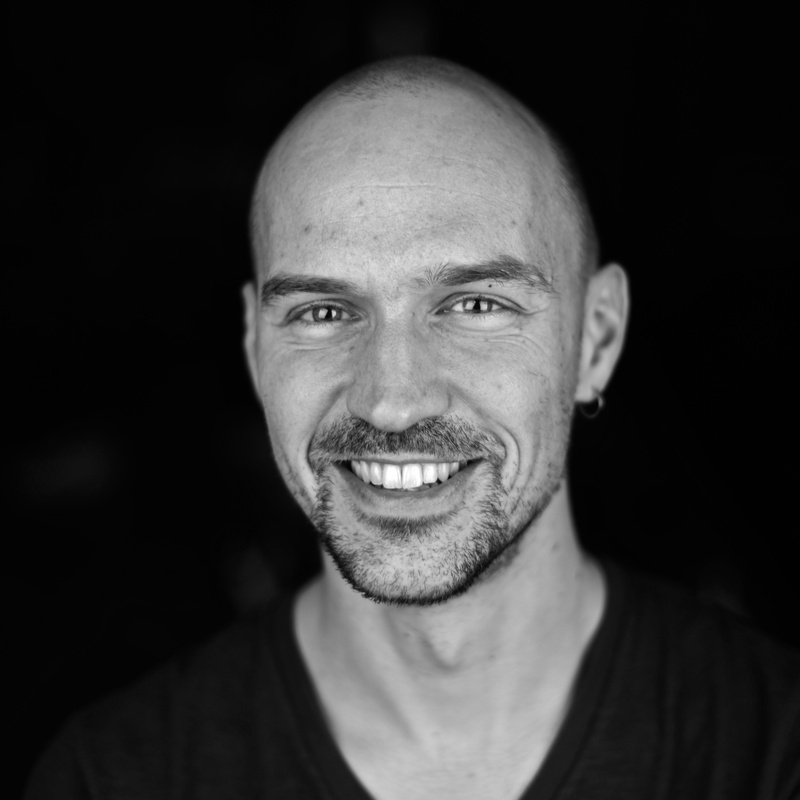 Matthias is a software engineer by profession and a maker by passion. At Impact Hub Zurich, he works for Kickstart Accelerator, taking care of the Robotics and Intelligent Systems vertical. Before Kickstart, he helped setting up the makerZspace at Impact Hub Colab, leveraging his experience from FabLab Zurich – both digital (and analog) fabrication workshops for startups and individuals to rapidly prototype and materialize their ideas and projects. His professional background covers several years in software architecture and IT project management at fundinfo.com before he started his own company sporttrip.ch, a online marketing and consulting services provider for the travel industry and beyond. Hi, welcome to Robots Podcast. I’m Roland Siegwart. I’m a professor on robotics at ETH Zurich. Also, I am one of the initiator of the Kickstart Accelerator here in Zurich. My name is Matthias Hüni, I go by Matt. I am the vertical lead for smart and connected machines vertical at Kickstart Accelerator, so I’m the counterpart of Roland in the operations of the program. Now, would you tell me what Kickstart Accelerator is, Roland? Kickstart Accelerator is, as the name says, an accelerator program for young entrepreneurs. With a special focus on topics, I will come back to this, and also on the goals. So, what do you want to actually to offer the Swiss ecosystem to people mainly from abroad to benefit from having contacts through industry, but also to universities in specific fields. And fintech is financial technology, right? Okay, so analyzing markets and this kind of thing? Okay. So you’re working within these verticals and you’re trying to develop accelerator, to help entrepreneurs in these areas, right? Would you tell me a bit about the areas? So fintech you mentioned, robotics is one of them. Yes, we have an additional one which is food, which is everything which is linked with food from production to up to the point where you sell food, where we offer them a vertical. Then we had one, which is was very generic, which was about the future of emerging technologies. We both remained in both this vertical on smart and connected machines, which is everything about machines which are connected through the network and offer new services to humans, toward our society, and of course robotics perfectly falls into this field. So how are you involved with the Kickstart Accelerator? And then really Kickstart Accelerator, I was somewhat involved as an expert. I was interacting with the different teachers selected to come to Zurich to give them support, to connect them to companies, but also connect them to lead with structural effects, at ETH to show that really benefit from the environment. So how is this related to your role as a professor at ETH? So in principle, it probably has not a very direct connection, but of course I was always also very interested in not only doing research, but also bringing this to its market to really make something out of the wonderful research. My people do it here at ETH. We had ourselves a couple of first spinoffs already which are doing pretty well. So I am always excited to see young people really coming up with ideas and bringing them to the market. This is more or less a private initiative, which I think is very valuable for Switzerland and for young people. Okay. And Matt, would you tell me how you’re involved as a vertical lead? Yeah, sure. I’m more like let’s say the ground troops in the vertical. I took care of onboarding all the startups. I also took care of the selection process where Roland was involved as an expert and lots of other people from our partners involved. My job is to facilitate the selection of the onboarding of the startups, the whole program, the access of the startups to our partners. As well as, generally, everything where the startups are stuck or they need help. Also, it’s a mixture in between event management, but also my background as observe engineer, helps me a lot in kind of understanding their technical issues and startup issues being part of the startup for the last 10 years. I would say it’s really a very generic, but also very specific ground work role that I’m taking care of. I see. Now can you tell me about some of the companies that you have in the smart and connected machines domain, or vertical? Yeah, sure. I think it’s a very broad application. For example, there is one startup called Rooftop. They are developing sensor technologies to work sensor technologies on a very, let’s say affordable level, where they make robotics in the mass production market more sensible, or sensitive. There is a robotics startup, I would call it a robotics startup, it’s Teal. It’s a robotic building blocks for kids, it’s an Aztec education technology startup. They’re working close with Google Education now. They’re also involved with Roland. We have another startup with the name of Miscopic, they’re in a completely different field. They are doing field service technician support with a software that integrates into this new field of augmented reality. So you have to use Microsoft photo lenses for example, where Miscopic tries to take these devices into the field service technicians work. So they are at the machine and they can use this augmented reality applications. We had a selfie drone startup. Drones, of course, always have to be part of accelerators because everybody knows about drones and everybody wants to have drones. Their goal was to have a drone that you can get rid of your selfie stick, basically. What else did we have? I at least missed two startups. Yes. We had, for example, one which a double ops a unit, which allows to track precisely stuff which is delivered. For example, where they are, but mainly also the temperature they go through, the humidity they go through, so that in logistics you have a precise track of what happened with the goods. This is especially for example, interesting for medicine, where you have to never go above a certain temperature. They were also Marvin, the future emersion technologies, vertical. Then the Remember Mind Books, which is also a very interesting combination of the simple metric attach storage thing where you just need to store data and you want to be sure that your data is safely stored. They are combining it with block chain technology as a, let’s say as a distributed cloud. Private cloud, where you store your data not only on your device, but also on other devices that are within your ear. It’s encrypted and you do the whole storage accounting stuff. So you use storage on all those machines and you pay for it using Bitcoin. They pay for their use of your space because they’re distributing their 1,000 new machines as well. So that’s a very interesting combination of this big new thing called block chain. Yes. Okay. Now how many startups do you have total, between all of the verticals? 10 in the think tank section, six in the smart and connected machine section, or verticals as we call it. Also six in the future and emerging technologies, and seven startups in the foods vertical. That doesn’t add up to 30, but 31, but one of the food startups was an entrepreneur team. That’s another possibility of participating in this accelerator, so if you’re part of an entrepreneurial team of one of our partners, you can participate in this program. Okay. Now can you tell me a bit about the program that you offer entrepreneurs? Roland, if you want to describe this. Yes, first of all we have a wonderful space where we have all this startups together for roughly three months. They are not only accumulate together, but are also hosted in a youth hostel where they live more or less during night there, which is an important element. They interact, they challenge each other, there is some peer pressure. Then there is of course a very precise photo ops. So every week they have to report on their progress. The most important part is, of course, to connect them to potential clients, and to potential technology providers and supporters, so they can really nicely benefit from the Swiss ecosystem. So this was also then reflected in the outcome that we have. Most of these startups, we’ve spent three months in Switzerland, had then also pilot studies with companies around Switzerland, where they can actually test their ideas and visions, and really go and interact with potential clients and markets. Okay. And what stage are these startups typically when they come to you for this accelerator? The selection criteria for us are at least an MVP, a minimum value product. So if your product isn’t ready yet, I think it’s too early to participate in this program. You should have a business plan that it doesn’t need to be sound until the next 10 years, but you should know what you’re talking about, what numbers you’re talking about, and what you are hungry for in the end. So you mean defining a market, in this sense? Yes. Exactly. You need to have a team, you need to have some traction, this is your minimum value product, and you of course need to convince us that you have potential. That this is a thing that’s not only born out of an idea you have, but out of a necessity and out of a problem that you are trying to solve. Okay. So what does the program look like over the three months? You mentioned that all of the students, or all of the people live together. All of the entrepreneurs live in a hostel together and how there’s a competition there. But then, what does it look like with the mentoring and what do they have access to? Do they have access to good machine shops and perhaps information they wouldn’t have otherwise? What kind of things? It depends a little bit on, generally speaking, the startups are working together also, so they live in the same place during the night, or when they leave in the evening they go to the youth hostel where most of the startups live, except the ones who are from Zurich, of course. And yes, they go home. Yes. They work in the same place as well. It’s an old transformer building in the middle of the city of Zurich. Just been converted into a co-working space. I highly recommend the listeners of this podcast to visit our webpage and have a glimpse at the pictures, it’s really nice. And it will be included with the blog post for the episode. At midterm demo day and also at the final demo day. We have the format of so called one-on-one sessions with the partners as well, where you as a startup have the chance to meet experts from all our partners to kind of challenge you on your idea. If there is a match, or if there is at least interest, to have the possibility to work closer with this partner, and maybe possibly end up with a pilot/POC, as it’s called proof of concept, where you are in the end maybe implementing your product with one of the partners. You mentioned mentoring so I think that’s one thing that really distincts us from other projects or programs. The kickstart mentor you have is an entrepreneurial mentor, is somebody who has an entrepreneurial background. Usually, he has already founded several startups and failed and didn’t fail. Both hopefully. He’s kind of your big brother and he takes you by the hand through the program and takes care of your entrepreneurial progress. That’s a very important aspect of this program because I think that most of the accelerators, they have several mentors for startup in different phases, and we make sure that you have one mentor. He takes you through the whole program and also the feedback from the startups was very positive on this side. The feedback from the mentors, of course. Yes. I would imagine. Now, can you tell me about the seed funding for each startup and then what kind of stakes this Kickstart Accelerator has in each startup after they complete the program? If you are being selected for the program we grant you 10,000 francs, as a kind of start, or as a means of you will have expenses for your company. We also have this so called founder’s stipend, where each of the founders that are participating in the program, that’s up to three people, will get a stipend for the day-to-day expenses. Like, you want to eat something, for sure. You want to have some party, hopefully, as well. We are not covering everything, but we can make sure that you kind of have enough money to keep you alive and keep you healthy in Zurich during these three months. In the end of the program, you’re able to winning up to 15,000 francs, so that ends up for your company not as the stipend, but as seed funding for your company in the end up to 25,000 K, if you make the first place at the end of the program. So how many companies are in a batch over the three month period that compete for this 15,000 franc prize? Exactly. Per vertical, you have these 25. That means in the fintech vertical where you have 10 startups, it will be five startups getting more than these 10,000 francs. In the smart and connected machines, this year it was only six startups, so it was the upper half of the startups usually can get more than the 10,000, but the 10,000 they are granted if you’re being selected for the program. Okay. Now, you have quite a collaboration here. There are many companies, and supporting partners, can you tell me a bit about who are your partners? I’d like to learn about setting this process up. Roland, would you talk a bit about your partners in this endeavor? Yes. In principle it’s at the moment, mainly big corporates in Switzerland, like the big Swiss banks. Also companies from food sectors, or the two big retailers for food, it’s with Migros and Coop. Then also the universities, ETH, University of Zurich, and Epath File of the Future are involved as more or less a technology provider. There are some industrial companies also. So for the next three years we are really pushing that we have more industrial companies also involved, which are probably more important, especially for smart and connected machines vertical. It’s somewhat of course an important and hard job to convince companies to invest in this to support young people, and then also to show them that it’s profitable for the whole ecosystem to generate new innovation and to [inaudible 00:27:40]. But also a high potential for themselves as probably bringing new ideas and having new technologies, which they can use for that product. Okay. One of the selling points I saw on the website was that the Kickstart Accelerator can connect entrepreneurs to a European market. You mentioned global before, but probably more specifically the European market that you’re connecting with, and this comes from the partners that you have, correct? How do you connect them to the European market and then global market from there? Yes. I think it’s mainly through the partners. Of course, universities involved are international and a lot of network, but also the companies. There are probably companies which are a little bit more Switzerland-centric, like the retailer Migros and Coop, but the bigger companies are in finance they are very international. Also industrial partners like Maxon we had in which is well known in robotics community as world leading company for small and high performance motors. They actually open up to their network to and give them access to international collections. This is not the primary goal, so I think what we can offer you in the three months is to connect mainly to these companies and to the universities. Then, of course, the next step is that they continue to work with them, exchange with them, and then also have perfect access to different fields internationally. I might jump in here. In terms of partners, or to answer your question in terms of market access, if you look at the partner’s page, or it’s on the home page in the lower section, you’ll see all these logos. You’ll see all these competitors, basically. So you have UBS and Credit Swiss, you have Migros and Coop, you have PWCX and EY, we call it the co-O petition thing. They work together still yet they are competitors. For example, all the consulting companies they bring you this really European and also worldwide access to other companies as they are consulting big corporations, small corporations all over the world. Also, lets say, ADP, all these partners, in the end they’re rooted in the Europe area, but they’re also rooted in different parts of the world. So this I will say is an outstanding opportunity and it’s really unique to have access to such big and such interesting companies. Can you tell me a bit about the process of getting all of these companies to support the Kickstart Accelerator or be partners in some way? Yes, so there is one element also behind which had to be mentioned, it’s called Initial Switzerland. This is an association where with a vision around, big corporate actually initiated this, it’s a vision really to help to move Switzerland even faster on everything which is this new opportunities. Which digitalization is a great thing to our daily life, but also in companies. With this we had only a natural seed grant for getting these companies that a part of the association to also support us on the Kickstart acceleration. The Kickstart Accelerator is one of the programs, currently the biggest program in this association, in which really is focused on accelerating not only companies, but in general, Switzerland, in this process of new opportunities in digital abroad. Okay. How many batches of companies has the program had so far? How many three month groups have gone through? Yes. Now we will send out to call soon for the second batch which will be end of summer next year. So, typically from the middle of August to November. What do you hope from this program? Where do you hope it is in five years? I think there is a couple of elements, which hopefully is probable agreement, and we had very good experience over this year. Alongside, I think it really should Switzerland, speed up in general in this innovation and progression field. Switzerland is already pretty well set up, but you should never sleep in. You should really push forward. That’s one element. Of course, probably the most important element is also to have, to bring science, politics, big corporates, and startups together. This was I think, a wonderful experience and the beginning we hoped, and we have seen that it works. So we have really the CEOs and CTOs from big companies coming to this place where these young and crazy young people work on their ideas. They mingle together, they network together, they dabble up visions together, and I think this should be even stronger next year and hopefully be the unique selling point for the kickstart accelerator in Switzerland. Of course, we would like also to convince some young people with great ideas to probably then continue to work in Switzerland, or incorporate their companies in Switzerland, or at least have a strong link with Switzerland. Also, this vision we had in the beginning was really moving extremely nicely forward so we have the clear majority of the whole startups we had in the Kickstart Accelerator will continue to have a footprint in Switzerland. Some of them are now incorporating Switzerland, others have started a second branch in Switzerland, and the other group has at least very strong collaboration now already with Swiss companies. Matt, do you have anything to add for where you hope to be in five years? I hope to be still here in five years, so that’s always It depends on our work. That this program is there in five years, so I hope to deliver the next four years. For us, it’s really improving every year, I’m just coming from several feedback calls. I hope to be on a position where I can, where we are not only on the same level, but really on a higher level than both of the accelerators that exist right now. That we really have proven our approach is the right one. There is no right approach but it’s a very good approach. Let’s put it that way.